We invite you to join the millions who Buy Black and Bank Black. 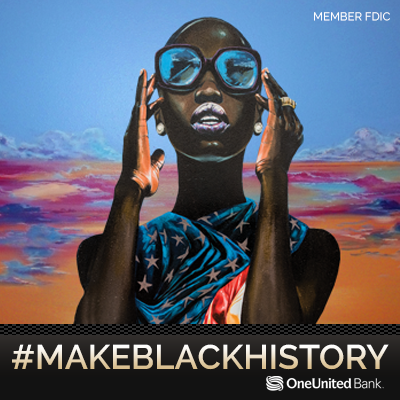 #MakeBlackHistory by signing up for The Lady Liberty Card, which was first featured in the mural Thunder & Enlightening – on the front of our Miami branch – and added to our card design library in the summer of 2017. The beauty, grace, and confidence of Lady Liberty cannot be denied…and the card design serves as a powerful statement that Black money matters!